We love Adain Avion – mobile art space, social sculpture and travelling time capsule thats migrating across Wales in the next few weeks. 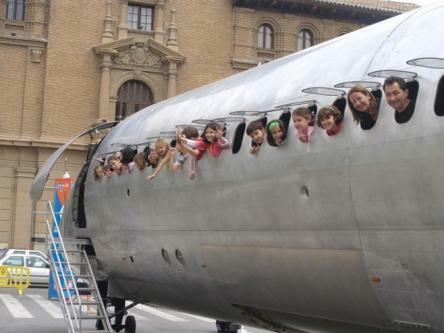 What better platform for outdoor performance than a big ole plane fuselage? Artists in residence include Citrus Arts, one of our key speakers at The Great Outdoors 2012. Visit here for details….bon voyage….